Adjacent to the Rainbow Walk is our Maze For All Ages, the world’s second largest permanently planted maze. Covering an area more than the size of a football field, it consists of thousands of mock orange bushes planted in a regular array of hedge work. 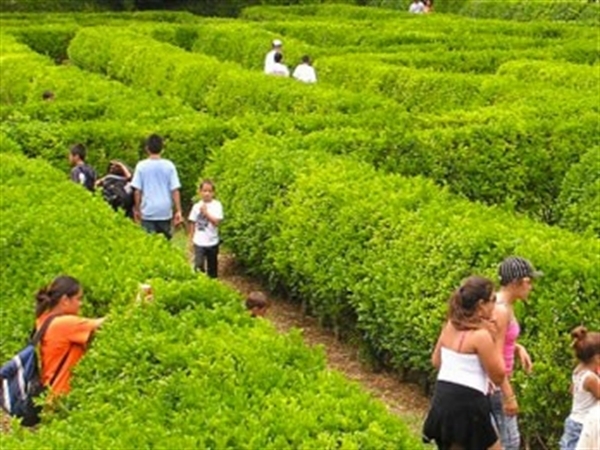 With lots of false turns and only one correct path, this maze is fun for young and old alike. The hedge is kept to a height of five feet, so as to allow adults to see over the hedges if necessary, but still allow everyone to wander the paths to find their way to the only correct exit. Going thru Kailua Kona on a Segway® Personal Transporter (PT) is such a cool experience. When you’re on a Segway PT you know you are having fun because of the Segway Smile, and when you glide thru the town — it just doesn’t get any better! This tour is the first time Segwaynian. The tour offer instruction and a short ride down the path of kings, Alii drive. A perfect way to be introduced to the Segway P/T Cruiser. This tour is 30 Mins. The Old Kona Town Tour is the perfect way to see Kona town and learn some fun fact and history while gliding along on your Segway Personal Transporter. The tour starts at the historical Kona Inn and continues downs Alii drive, gliding by Hulihe’e Palace, Moku’aikaua Church and Ahu’ena Heiau, the residents of Kamehameha I. until his death in 1819. The tour continues down Alii Drive to St. Michael Church, Waiaha Beach Park (Honis) and back to The Kona Inn. This tour is 1 hour. The Kona Historical Tour offers the beginner and novice alike a chance to glide threw Kona experiencing the history and the mana that made Old Kona Town. The tour starts at The Kona Inn and glides down Alii drive to Hulihe’e Palace , Moku’aikaua Church, Kamakahonu , White Sands Beach, and Ku’emanu Heiau, which was dedicated to the sport of surfing. Visit ancient stone walls erected by ancient residents of Hawaii who were known for their overnight feats of architectural engineering called Menehunes. As we glide down Kona coast line, you will have a chance to take in the breath taking vistas that make Hawaii’s beaches world famous. This tour is 2 hours. Hawaiian name for this plant is Kupukupu and it is an Indigenous Plant to Hawaii. This fern is closely related to the native Florida Sword Fern, but that species does not produce underground tubers. Because ferns reproduce by means of spores which are extremely small, many species of ferns are widely distributed over the world, being caught up in high altitude jet streams and traveling thousands of miles. 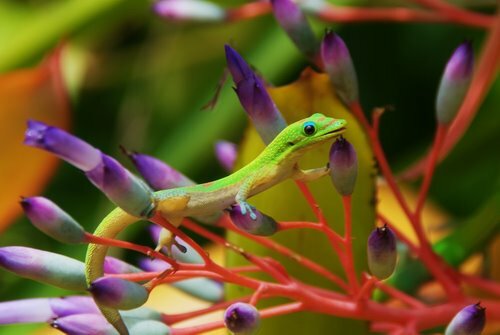 One reference stated that this species is native to Australia and the Himalaya Mountains and is considered to have been introduced to Hawaii. However, another reference on Hawaiian native plants states that this fern is native to all of the main Hawaiian Islands. Its Hawaiian name is Kupukupu, and it was used in lei by the early inhabitants of Hawaii. It grows well in full sun or with a little shade, and it must have good drainage, as standing water will kill the roots. Across from the Rainbow Walk is the Arboretum. This section is bordered by a twin row of gigantic “Cook Island Pines”, so named for the islands discovered on Captain Cook’s voyages. a driveway lined with majestic Royal Palms and the Hanapueo Stream. It covers several acres and includes large numbers of specimens, especially trees that produce flowers, fruits and nuts. These include abiu, several species of bananas, Brazilian cherries, breadfruit, cashew, cinnamon, citrus, jack fruit, longan, lychee, macadamia, miracle fruit, ohia, palms of many types, papaya, paradise nuts, and sapote to name just a few. Bird of paradise, bougainvillea, gingers, heliconias, hibiscus, orchids, plumeria and many other plants bloom throughout the arboretum. Our Hale Mala Pua (Garden Home) is the perfect place for family and friends to gather or for a romantic getaway on the stunning Hamakua Coast. 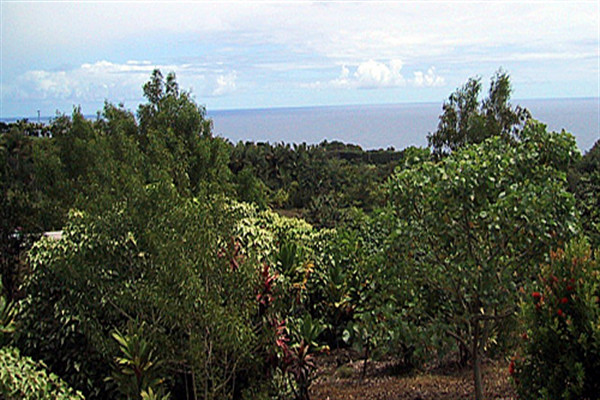 This spacious plantation house (2,200 square feet) is located just north of Hilo in the lush and tropical environment of World Botanical Gardens in Hakalau. With 2 Bedrooms, 2 1/2 Bathrooms, Gourmet Kitchen with enormous refrigerator/ freezer , Living Room & Covered Lanai with ocean views. Access to World Botanical Gardens included for all days of your stay. Fruit Orchard & plenty of outdoor space. The home has 2 Master Suites, which is as perfect for a couple on a romantic trip, a family with kids or anybody just longing for privacy. Great for the couple wanting a wedding in the gardens with their honeymoon cottage awaiting on the property. This home is very clean and tastefully decorated. For your cooking pleasure the kitchen is fully stocked and open to the inside dining area so that you can prepare meals while you socialize. The property is just across the street from the amazing World Botanical Gardens and the Botanical World Adventures where you will be welcomed by the staff and given special rates. Each week stay gets one free tour for one person (up to $167 value) – the longer your stay the more free tours! The rest of your guests will receive a discount on the tours. There are guided zip line, Segway and walking tours at the gardens for an array of fun just outside your front door. You will even come away with new understanding of the plants that envelope you. Within minutes there are surf and swimming spots like Hakalau Veterans Beach Park to dip in the water or boogie board. Less than an hour drive in either direction the power of flowing lava at Hawaii Volcanoes National Park, golfing, magical driving tours, Hilo farmer’s market, ATV tours and so much more! Or circle the whole island on a day trip. Visit https://www.vrbo.com/771926 and Book your Stay now.